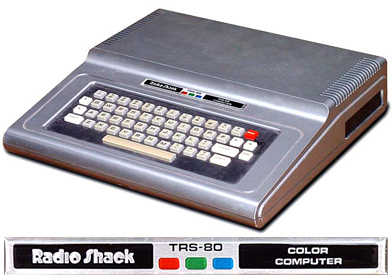 The TRS-80 Color Computer, often referred to as CoCo by its users, started out as a joint venture between Fort Worth based Tandy Corporation and (then) Austin based Motorola Semiconductor, Inc. to develop a low cost home computer in 1977. Like its Z-80 based predecessors, the CoCo shipped with BASIC, but in this case Tandy licensed Microsoft BASIC. As with the Z-80 systems, there were multiple "levels" of BASIC. In the case of the CoCo they were the standard Color BASIC and Extended Color BASIC. Beyond that, Disk Extended Color BASIC came with the floppy controller, and on the CoCo 3, "Super" Extended Color BASIC extensions were added by Microware.